#SB57 Hits the House and you'll love the results! How many of us have worried about keeping track of our kids and not having a way to find them quickly? Do you worry about being able to track down your child in the event they wander away? I know that many moms and dads, especially of kids with special needs, live this constant worry and wonder if there are tools out there to help in those moments of panic. Well, I want to share one such device with you. 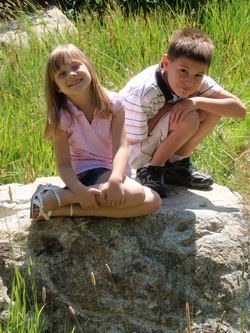 I was able to test the Amber Alert GPS device first hand this past summer with my son. I found the device extremely useful in helping me keep track of him. I’m confident that this device will help you with your child. The Amber Alert GPS device uses GPS technology and AT&T wireless connectivity to provide reports on a kid’s location every five minutes, as well as a history of where your child has been recently. The device allows parents to customize specific zone alerts around places your child frequents and will send parents an alert via email or text every time your child enters or exits that zone. The device also offers 2 way calling, allowing parent or child to contact each other if needed. Alerts can also be set up to track speed (allowing you to know if your child is in a car, or going faster than you would like) as well as notifications if your child comes within 500 feet of a sexual offender’s residence. All alerts can be set up and monitored via a parent-friendly portal available at www.amberalertgps.com. For parent’s looking for the ultimate convenience, they can download the free Amber Alert GPS Parent app to keep track of their kids with a touch of button on their Smartphone. • Free My Child ID ($30 value). The My Child ID software helps parents securely organize, manage, and store their child’s information (personal, medical, etc.) for quick and easy access. The My Child ID software is emailed to you upon placing your order. Just head over to www.amberalertgps.com and make sure to use the code FAAST. So let me ask the question, what does autism look like? That’s a question that has been asked by many by many in the autism community following the insensitive comments made by rapper 50 Cent. On Twitter, a firestorm of tweets sporting the question ‘What does autism look like” along with pictures went out directed towards @50cent, including my own. To be honest, hearing (actually reading) his comments, it certainly got under my skin, it really bothered me. A couple days have gone by and I’ve had a while to let his comments sit and digest. I’ve also had a chance to read the takes of some great people who I really respect and my opinions have certainly not changed a bit, I’m still bothered by his comments, but more than that, I pity his ignorance. The fact is, as parents of children with autism, we fight so very hard to gain acceptance and understanding for our children and the fact that he makes these comments shows that the fight has obviously not made it to him. The fact is, if I’ve learned one thing, unless you live it, it’s sometimes hard to understand it. Impossible? No, but hard none the less. So if 50 Cent wants to know what autism looks like; it looks like love. It looks like trials and ups and downs. It looks like challenge. It looks like accomplishments, big and small. It looks like trips to therapy. It looks like frustration with IEP’s. It looks like meltdowns. It looks like, well, the life of a mom and dad of a child with autism. It’s our life. To us, autism is what we know and our son Kian is a beautiful, kind, loving child with a huge heart. He might have autism, but more than that, he captures the hearts of all those who know him. That, Mr. Curtis "50 Cent" Jackson, is what autism looks like. The fact is, 50 Cent made a bad choice of words. Did he think he was being funny or clever? The fact is, it really doesn’t matter. He made a terrible choice of words that were insensitive and ignorant. I hope that he recognizes this and stands up and takes it like a man. I came across this poem but not sure how it came up in the search results, but it really resonated with me and I thought it might do the same for you. "Accomplishment she may not show. "From the folks she meets down there. "Her thoughts may seem quite far away. "So, let's be careful where she's sent. "We want her life to be content. "Will do a special job for you. "The leading role they are asked to play. "Comes stronger faith, and richer love. "In caring for their gift from heaven. "Is heaven's very special child." “With today being the official Autism Awareness Day, this brings about a very special opportunity to us moms and dads to make a difference in our own communities. Although we live this each and every day, the community doesn’t always do the same. However, the media is going to be mentioning that it is Autism Awareness Day, there will be “Light it up Blue” campaigns going on all around the globe and what better opportunity is there to talk about autism openly to raise awareness. It’s more than wearing blue or sticking on our blue puzzle piece pin, it’s about raising awareness. Go out in the community, share your story, talk to complete strangers about autism and give them an opportunity to learn. What better way to raise awareness than opening our own mouths? Let me explain why I think this is important. First and foremost, I simply love the idea of having the bulbs and lighting up our homes, I love that all across the globe iconic landmarks are taking the opportunity to light it up blue serve as a symbol of awareness. 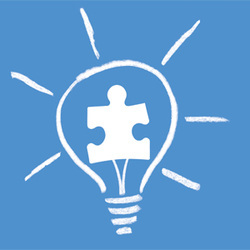 Although the blue puzzle piece is the symbol of Autism Speaks, the “Light it up blue” campaign has become what people recognize because of the blue buildings, statues and landmarks. These are all great things. But, I’m a strong believer that we cannot allow ourselves to only use Autism Awareness day as our only opportunity to raise awareness. We simply cannot afford to make it an annual event, a campaign that comes and goes. As many of you who follow us on a regular basis know that we had the Autism: Coming of Age event at Weber State University last week. It was a tremendous success, we had a great turnout and most of all, we had so many people, many who were part of the planning with us, express their appreciation for learning more about autism, about the struggles as mom and dad we face, but more importantly, the struggles our kids face and will face as they grow older. These are real issues and issues that we cannot afford to wait for an annual reminder to our communities. Speaking out every day is a must. We have to be a collective voice, with our schools, our law enforcement, our government officials, our friends and family. We can light it up blue each and every day but simply opening our mouths to raise awareness, talking to anyone and everyone we can. Once we take that opportunity to do so, we will certainly be “lighting it up blue” and creating the awareness our community needs.